An ensemble of ideas take on an identity of their own in this mysterious and exciting record, made by one of the creative geniuses who brought us Ufomammut. 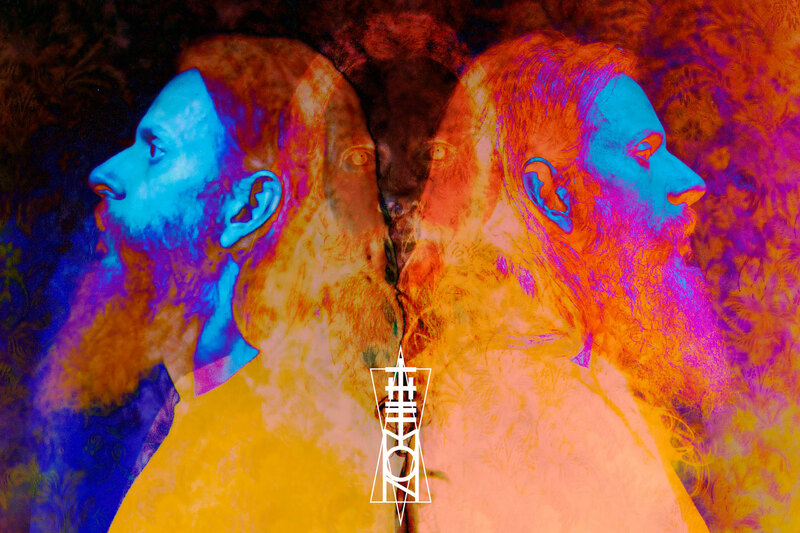 The Mon is the decidedly more abstract side-project of Ufomammut member Urlo, and is a compilation of songs written and recorded over a one year period. Once assembled, humble listeners are treated to a feature-length delve into the unknown, which in my estimation deserves its fair share of attention. From the outset of opening track, “Hedy Lamarr”, horror-movie-soundtrack vibes from a very synthy angle take precedence. But in the long run, Doppelleben has a lot more to say for itself. Intensity is the common denominator, but the soundscapes vary from track to track. Fans of Ufomammut will be pleased to know that Urlo picks up many of the tools used in his more prolific cousin band; The bass, the keyboards, the brooding pitter-patter of vocals, and the many inventive ways in which these components are used. Urlo is also intelligent and experienced enough not to overuse these things. The set-up of certain tracks, such as “Hate One I Hate”, are actually pretty simple, but all the more effective for it. Singular notes ring out and don’t subside until the laws of patience dictate that they should. So, although Doppelleben is slow in places, it also possesses an impeccable sense of timing and rhythm. As one might expect from the musician’s background, the conventions of drone and doom are never far from the principles of this album, yet The Mon seems able to pull off other tricks too. Slowly, we build up the sense that we have a master musician at work and, well… Like I said, this record probably deserves a great deal of credit for it. Dramatic changes in tempo, as marked in the transition towards “Blut”, are an effective way of keeping the listeners hooked, and also suggests that Urlo was able to let loose with some great ideas he was otherwise unable to use in Ufomammut. Inventiveness in this regard emerges to fill up the central bulk of the album, and sprays an industrial sheen over the dronier segments. Another consistency comes in the form of the vocals which, whether they be clean, loud or a faint whisper, are always brilliantly sung and pitch-perfect for their relative occasion. Also worth noting are Dopelleben‘s closing tracks “Her” and title track, “Dopelleben”. They both signify a life-affirming level of emotion, before taking a musical full-circle, to clarify the breadth covered across the album since its opening track. It seems unclear as to whether each of these songs were created as standalone endeavors, or if their overall placement within a full album was taken into consideration. But either way, Doppelleben represents a highly engaging portfolio of ideas. Everything on it is wonderfully executed, and so there is a natural sense of order to how the songs are arranged, sporadic in their conception or not. The Mon might be the tangent side-project of a cult band member. But I believe there is something rather special happening here. Given what’s on offer in Doppelleben, it would be great to hear a refined sense of purpose from The Mon in future years. Music this sinister, beautiful and foreboding should never be overlooked, as there is a lot to be drawn from it. So keep this one on your hit list. It’s a true hidden treasure. Next PostNekromant - "The Nekromant Lives"